April 1, 2015, 7:00, downtown at Suzie’s Dogs & Drafts, 32 Phelps St. Fr ee parking behind Suzie’s and in the lot behind the Voinovich Building, corner of Hazel and Commerce. This reading falls on April Fool’s Day, but this isn’t a prank and these guys are no fools. Come hear E. Hallaman (read by Jim Rogers), Roger Jones, Bill Koch, Stephen Sniderman and Jim Villani share their wit and wisdom. Open mic to follow, moderated by YSU Student Literary Arts Association and editors of Jenny Magazine. Make us laugh with your words or someone else’s. Jokes, limericks, humorous stories and poems, takes us where only fools dare to tread, where fools walk in, bring us your fool’s gold, your gooseberry fool. Fool us once, fool us twice. We’ll suffer gladly. This entry was posted in Uncategorized on March 5, 2015 by lityoungstown. 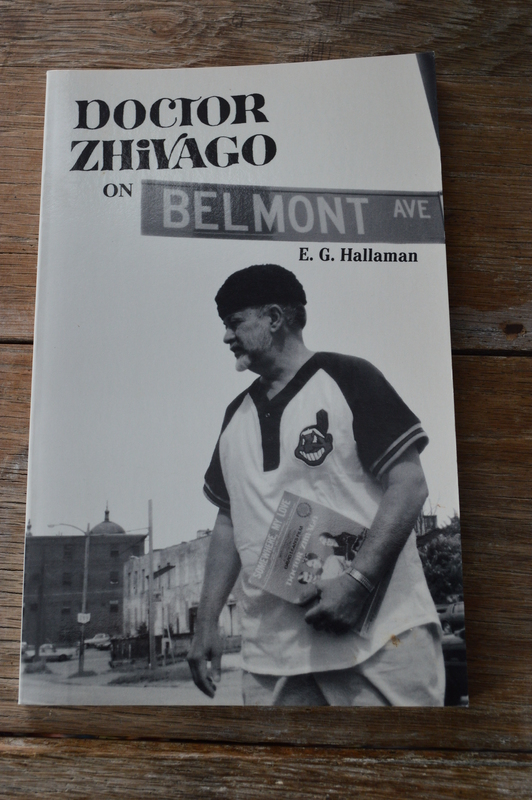 Thank you for keeping E. G. Hallaman’s poetry alive and well. E and I were friends for many years and he once inscribed his little Noon Hour book to me with “Thanks for the brownie.” My favorite of his poems poems is Aging Gracefully.